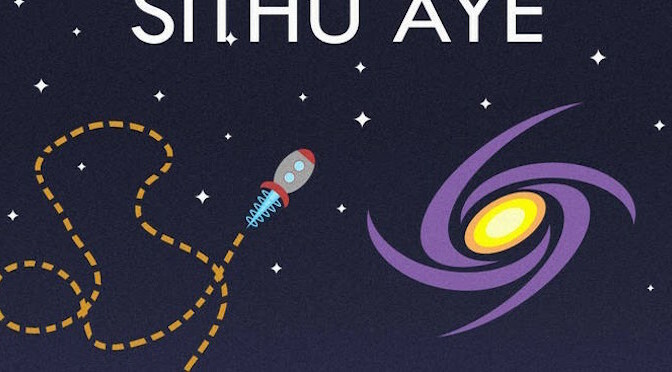 Q1: Hi, Sithu san! Your first Japan Tour will start soon! Have you decided the set list? 【SITHU】: こんにちわ! 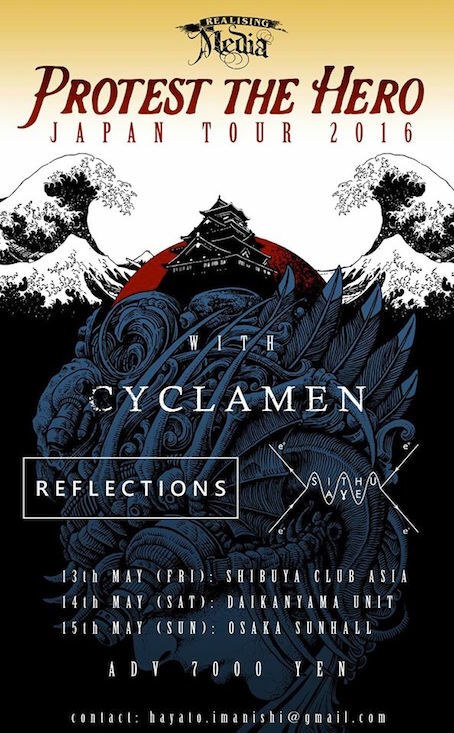 I am incredibly excited for the Japan Tour with Protest the Hero, Cyclamen and Reflections and I am so excited to be visiting Japan for the first time! It’s just over one week away at the time of writing and I’ve started to learn a little bit of Japanese, so hopefully I can speak a little bit when I am over there.I have indeed decided my setlist. I will be playing a few songs from the new album and some favourites from other albums too. And I may or may not be playing a song from Senpai EP too! Q2: So, it seems you’ll leave your job and pursue music full time. I think that’s very important decision for your life and for your music fans. What made you so? 【SITHU】: I think I was coming to a point where I had to choose between a comfortable, steady job or doing what I really wanted to do, which is making music and playing live shows. The biggest hurdle is financial, but I was in a position where I would be able to afford basic things like rent and bills and for me I’d happily sacrifice money so that I can do what I want to do. The other issue that the kind of job I was working is very corporate and I really struggled with travelling when I wanted to be home, recording my album. Also, the career progression of my job means that the longer a stay, the less time I would have for music. I think I had to decide what really mattered to me the most at that point. Anyway, at the time of writing, this is my last week at my job and afterwards I will be dedicated all my time towards writing and recording music. I am incredibly excited and starting with a tour in Japan is the best possible start for me as a full time musician. Q3: Anyway, your newest album “Set Course for Andromeda” set to be released soon! This is definitely epic, double album with 76 minutes long. What inspired you to make such a magnificent album? 【SITHU】: The main reason is that the last full length album I did was Invent the Universe, which was released almost 4 years ago in October 2012. I felt I really needed to create something musically that was a much bigger piece of work than an EP and I felt that I owed it to my fans and followers. As for whether it’s magnificent or not, that is up for the person listening to decide. For me at least, it’s my most ambitious piece of music to date. Q4: Your previous release “Senpai EP” focused on the theme of Anime culture. The direction has changed pretty much in the short period of time, because “Set Course for Andromeda” is the story about space travel, I think. Off course, “Senpai EP” was really great record and made you popular especially in Japan, but can you say “Set Course for Andromeda” is more “Serious” record than “Senpai EP”? 【SITHU】: I guess it is more serious in a way, in that I’m not making a joke or parody about anime tropes and clichés. Set Course for Andromeda is not really about the theme though, in that I wanted the focus to purely be about the music. I take the music for Senpai EP just as seriously as any of my other music though, but the theme is not serious I guess.Senpai EP was some of the most fun I’ve had making music though, and I will definitely be making a Senpai EP II and maybe even a Senpai EP III. 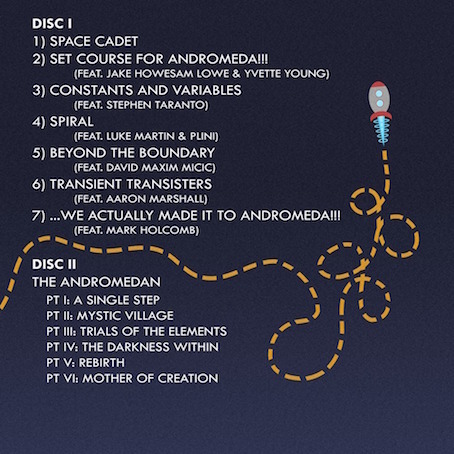 Q5: I think Disc 1 is about the way to Andromeda, and Disc 2 is the story in Andromeda. Do you agree that? Could you tell us about the story of the record? 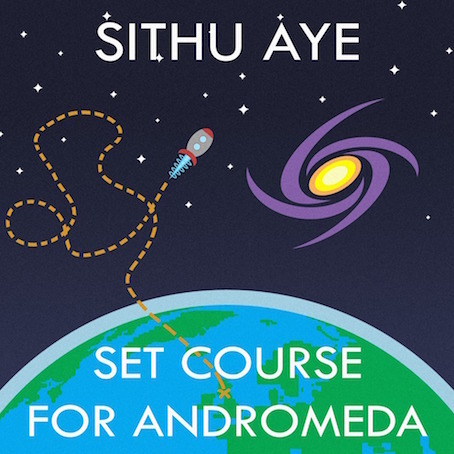 【SITHU】: Disc I wasn’t really ever meant to have a story, but I guess you could say it is about going to Andromeda. But going to Andromeda in a really terrible spaceship, flown by a bunch of space cadets who have no idea what they are doing (sometimes I imagine the space cadets are Megumi, Hanako and Mari from Senpai EP! ).I wanted Disc II to be like a journey, and one of my friends suggested looking at Monomyth by Joseph Campbell since what I was trying to do seemed like a hero’s journey. Monomyth is the idea that a hero’s journey follows a common set of sets and elements, so the six parts of The Andromedan are meant to tell different parts of a hero’s journey.I think the twist for The Andromedan is that I imagine that the space cadets that made it to Andromeda are actually watching the alien Andromedan go through his hero’s journey from their spaceship. And on the last part, Mother of Creation, I imagine the Andromedan accidentally seeing the spaceship and the aliens start worshipping the space ship as a new god, as their Mother of Creation. It’s kind of a play on the Star Trek Prime Directive being broken. Q6: Musically, “Set Course for Andromeda” is very rich in diversity. 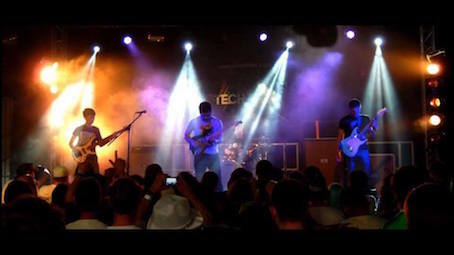 You know, off course, from Prog-Metal, Djent, Fusion, to Oriental, Post-Rock, even Jazz and strings are there. Did you want to make an album like “kaleidoscope”? 【SITHU】: Again, it was kind of reaction to how similar some of my previous releases like Pulse and 26 sounded. I really wanted Set Course for Andromeda to be long, diverse and progressive. I wanted to push myself and try new sounds that are unfamiliar for my listeners, but make it in a way that people would still be able to tell that it was me playing. Q7: Also, heavy groovy guitar and Dream Theatre like technical aspects are back compared with “Senpai EP” and “Pulse”. In other words, I felt little bit coming back of “Invent the Universe” feeling. Do you agree that? 【SITHU】: I definitely wanted to add more heavy and progressive elements to the album, because it’s not something I’ve had in my music for a long time. You’re right that Invent the Universe is probably the last time I had something similar. Again, I just wanted to try something different. I think one of the worst things I could have done creatively is to fall into a sort of comfort zone when really, I should be pushing myself constantly. 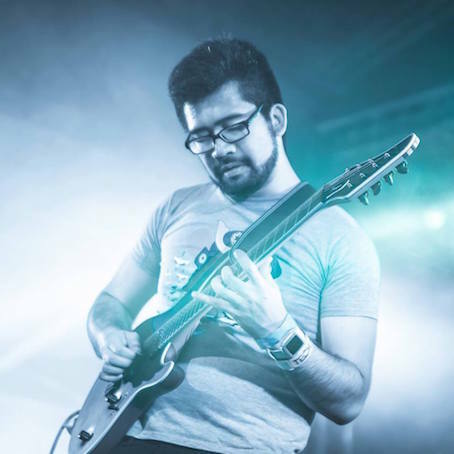 Q8: Guest soloists are definitely the players represent modern guitar scene. How did you choose them? And how did select the songs for them? 【SITHU】: In all honestly, I’ve met and hung out with almost all of the guests on the album, except for David Maxim Micic (who I will be meeting later on this year!) and Mark Holcomb, who I’ll hopefully get the chance to hang out with in the future. Most of the guests are people I’ve enjoyed spending time with, and all of them are people I immensely respect musically and I love what all of them do. 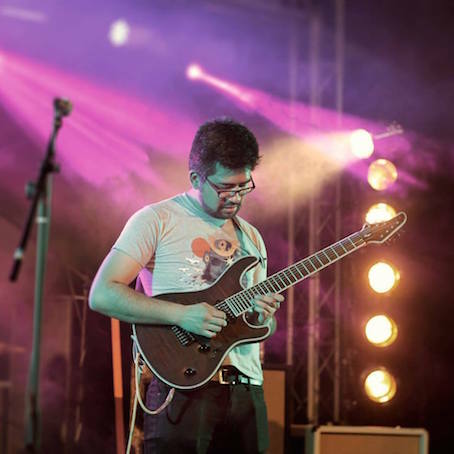 Q9: You became part of the roster of Mayones guitars. How do you like the guitar specifically? 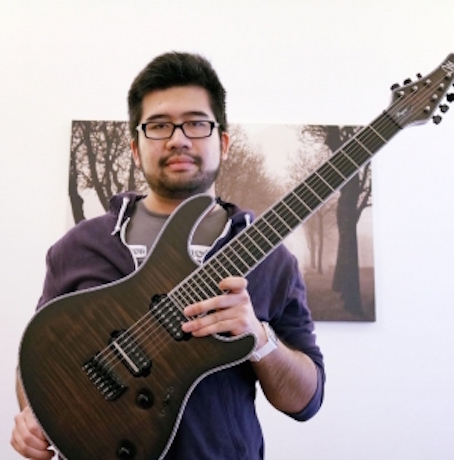 【SITHU】: They’re just amazing guitars, incredibly well built and endlessly playable. I’ve always wanted to try one and when I did last year I fell in love with them straight away. I think for the style of music I play they are absolutely perfect. They’re also incredibly versatile too. They’re everything I look for in a guitar essentially!